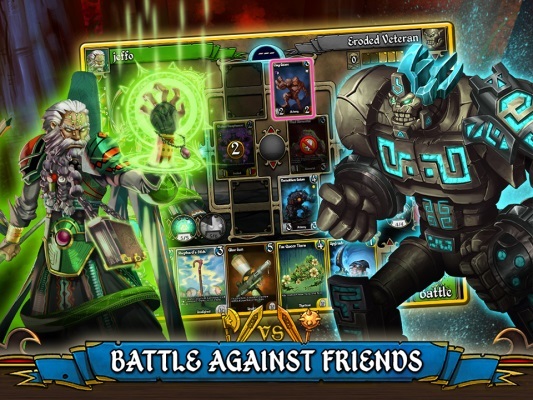 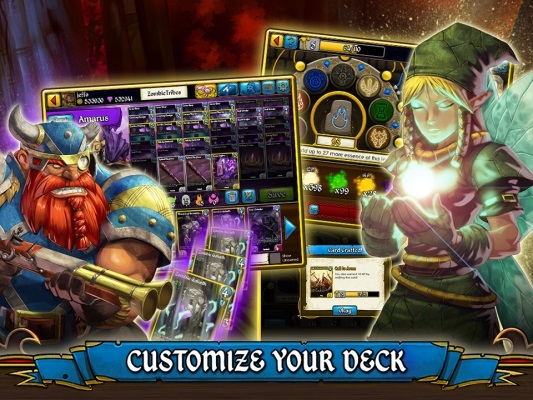 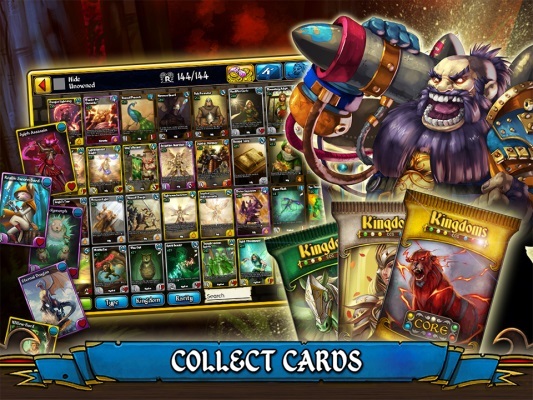 Kingdoms CCG is a free to play collectible card game for Facebook and iPad. 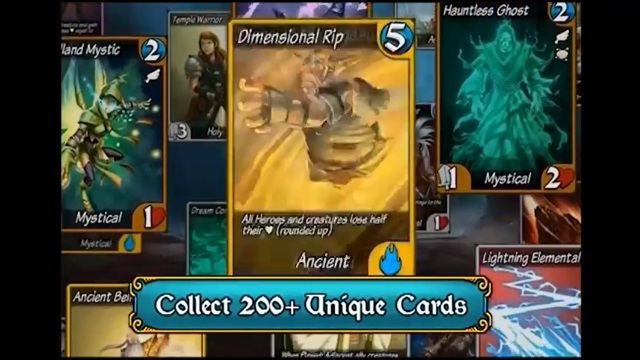 Set in the fantasy land of Euna, there are six Kingdoms - Holy, Ancient, Mystical, Elemental, Undead, and Alchemy - each with their own style, creatures, gear, spells, and rune words. 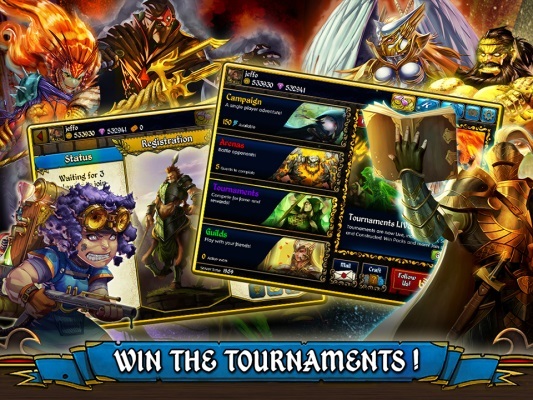 Build a unique deck and battle other players in Live Play and AI battles, quest, or attempt tournaments alone or with a guild. 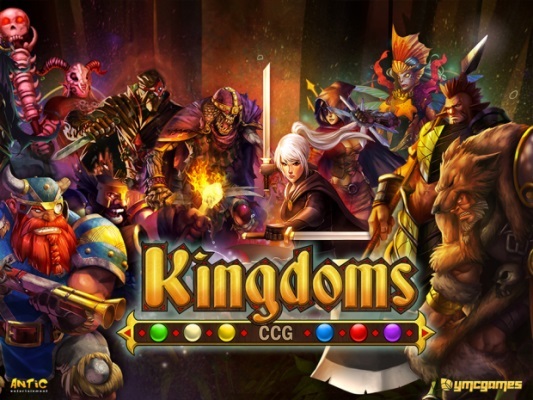 Get ready to immerse yourself in a fantasy world of tactical warfare and collectible cards with Kingdoms CCG.